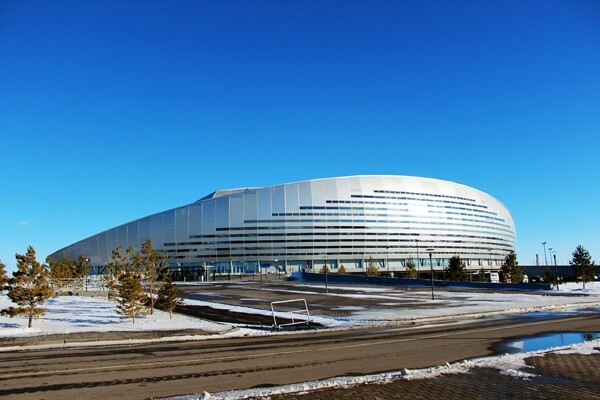 Built on 41.670 sqm with a seating capacity of 8900 pax, this unique “speed skating stadium” is built for olympic purpose and is already nominated to be one of the most prestigious buildings of Astana city in terms of architecture and as well as winter sports. There are passages around the Speed Skating Stadium and parking lots are located on the north side. On the ground floor there is an ice arena designed for two speed skating tracks of 400 meters: basic and warm-up. In the center there are courts for hockey, curling, figure skating and short track. 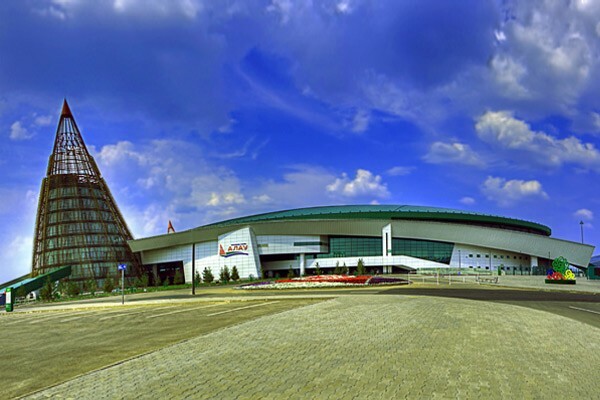 Ice Palace “Alau” is a multifunctional sports center, and consists an Ice Arena, fitness center, universal gymnasium, Spa center, 4 star hotel and a restaurant.